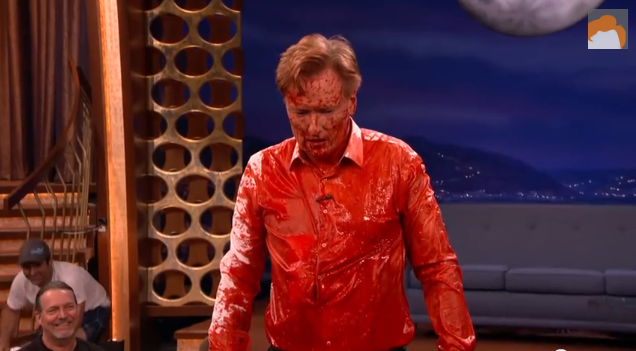 Martial artist and stuntman Steven Ho who is a regular guest on Conan O'Brien's show appeared once again on the latter's program for a stunt - this time a samurai stunt wherein the talk show host gets a samurai sword stuck into his gut. The resulting scene will remind you of a Quentin Tarantino movie - blood gushing out and all. Scenes from Tarantino's Kill Bill film series come to mind. Tarantino should consider casting O'Brien for his upcoming projects.